Pretty Girl-13 is an amazing read! Liz Coley brought me to tears several times. I’ve already recommended this book to several people warning them that there may be some tears spilled but it will be worth it. Pretty Girl -13 by Liz Coley is a beautifully written tale about a girl who was kidnapped at 13 years of age and did not return home until after she was 16. The special case about this young girl is that she has amnesia, she doesn't remember anything and this novel is her journey about rediscovering who she is. Angie was on a Girl Scout trips with her friends and when she left the tent to use the bathroom she disappeared. The next time Angie is seen it is three years later. I couldn’t believe the horrors that this girl had to live through. The scary part of this situation is that she keeps blacking out and waking up hours later not knowing what happened to her. 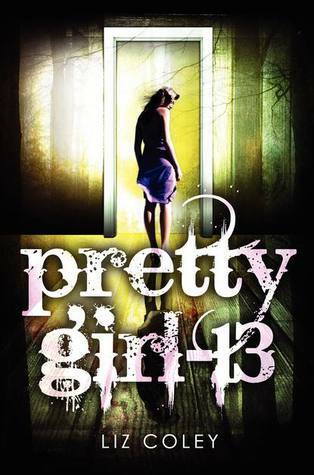 Coley kept me on my toes during this book, it has been a long time since I finished a book in one day but I definitely made it happen with Pretty Girl-13. Angie: the amnesia girl. Angie is our protagonist. The whole book is about her and finding out what happened to her during those 3 years that she was missing. Where did Angie end up and how did she find her way home when the camp grounds were miles and miles away? Why can’t Angie remember anything? Angie has so many different sides to her and it was interesting getting to read about each side and how Angie feels 13 when she is really 16, yet in some ways she is even older than 16. Angie has to go through an emotional whirlwind to rediscover who she is and find out who she was. Greg: the self-absorbed. Greg is that self-absorbed ego maniac guy who thinks he is perfect and woman she just be fawning all over him. Sheesh…give me a break. I didn’t like Greg at all. I didn’t think he deserved Angie’s attention one little bit or Livvie’s either. Dr. Grant becomes one of my favorite characters in the whole book. She is Angie’s therapist. Dr. Grant wants to help Angie recover who she is, and in many ways, I think she becomes the only person that Angie can truly trust and rely on. Dr. Grant takes her time to be there for Angie even though she is just getting paid, I think that she develops a deeper connection to Angie because she wants nothing more than to help Angie. Once Dr. Grant finds out what is going on with Angie, I think she becomes even more fascinated. Livvie, Livvie, Livvie, I don’t have much to say. I don’t like her. Next. Kate. If I could choose my next best friend, it would be Kate. Kate became an outsider in high school because she became the “goody two shoes” of the group. Even though no one hangs out with Kate anymore and everyone treats her like she is a leper, Kate reaches out to Angie and they become best friends like they used to be. Kate doesn’t judge the weird things going on in Angie’s life, she just listens and tries to lighten the mood when Angie is feeling down or confused. I think Kate is a great character that added a lot to the story because I think everyone needs a good friend. Kate is amazing and I hope Kate and Angie continue to be friends. 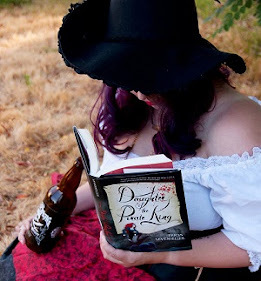 I give "Pretty Girl -13" five out of five bookshelves.